I start my days filling up on a bowl full of hot steel cut oats, flavoured with a touch of salt and butter. Sometimes I get wild and crazy and throw on a drizzle of honey, a handful of raisins and a few almonds. My daughter – on the other hand – is not an oatmeal girl. At least, she isn’t one anymore. As a baby she gobbled up the stuff, but that was before she discovered she had options. And while her breakfasts today are nutritious (fruit, vegetables, yogurt, cheese), I’ve always hoped that her love of oatmeal would return. There are approximately a billion reasons to eat oats, not the least of which is the fact that consuming them on the regular decreases mortality risk which – I think we can all agree – ranks right up there with doesn’t cause canker sores and won’t give you the trots. But getting my 8-year-old to rediscover the grain has been tricky, and more often than not, her dish of oatmeal (no matter how I dress it up) is left to sit - alone and untouched – just like the tuna Jello surprise everyone avoids at family picnics. 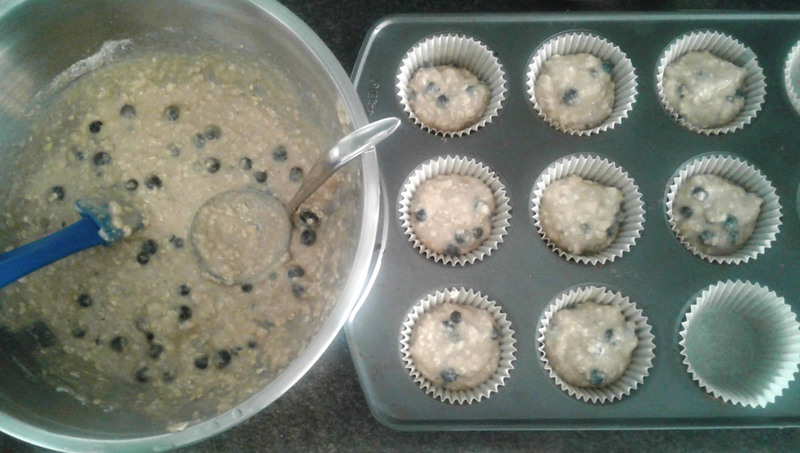 Recently, I made a batch of oatmeal muffins (otherwise known as nature’s perfect breakfast treat) and my child devoured them. Just. Like. That. 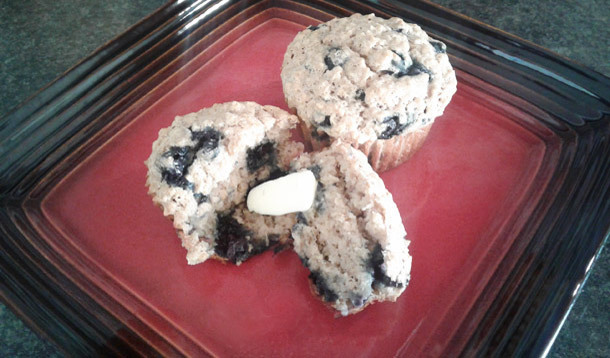 I love the muffins because not only are they full of oats and fruit, they are also sugar-free. She loves them because they aren’t sad and gooey oatmeal in a bowl. 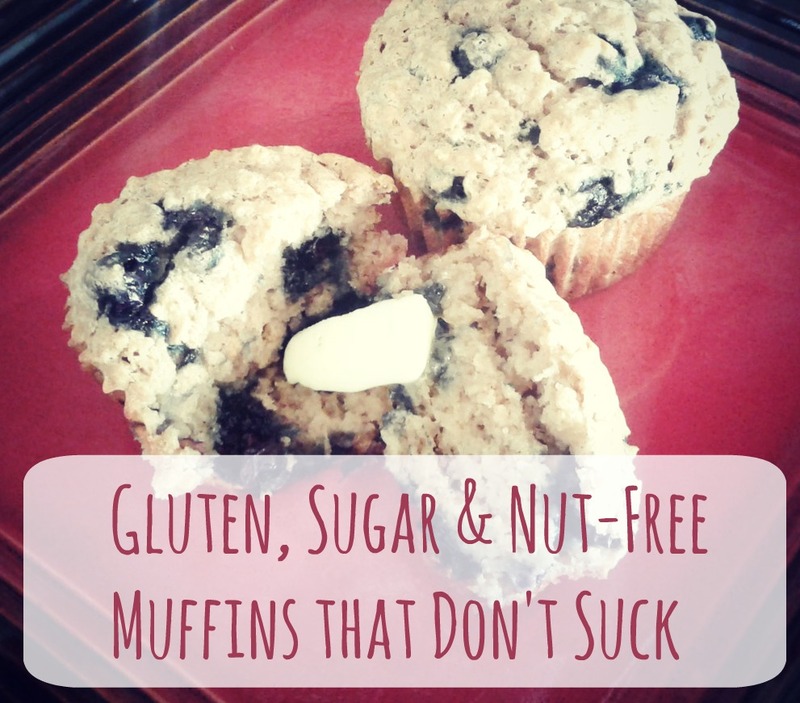 They are also gluten-free, for those of you (like me) who are on that bandwagon. 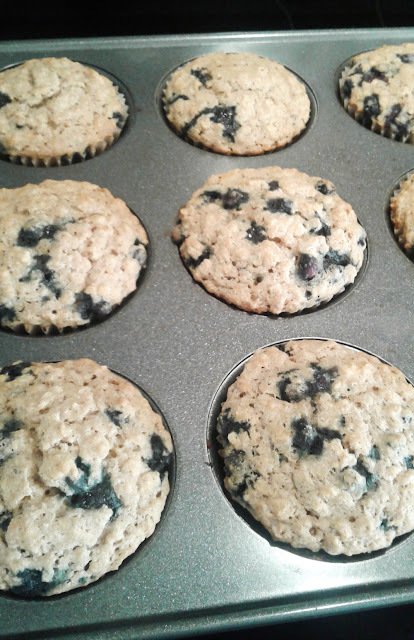 And while most gluten-free muffins are dense and tasteless (not unlike a guy I dated once in college) these are light, fluffy, moist and remarkably sweet - despite the fact there is no added sugar. And - as a bonus - they’re nut-free which makes them safe for school lunches. Note: If you'd rather use regular flour instead of gluten-free, go ahead. 1 cup gluten-free flour mix. I use King Arthur All Purpose Baking Mix because I’ve found it to be safe for my tree nut-allergic daughter. In one bowl, sift together gluten-free flour mix, oats, baking powder, baking soda, salt and cinnamon. In another bowl, blend applesauce, eggs, olive oil (or butter), milk and vanilla extract. When well blended, add the berries. Spoon mixture into lined muffin pan. Bake for 25 minutes or until muffins spring back when you press on the tops. These muffins can be enjoyed warm, or cool but my favourite is to eat them almost fresh out of the oven with some unsalted butter. Yum! Try them with raisins or (dare I say) chocolate chips instead of berries for an even sweeter treat. Based on a recipe found at Sugar Free Mom. This post first appeared on YMC.